As weird as it for me to believe, today is the first time I’ve stamped anything onto may nails this year. The most I did earlier was paint ILNP’s “Black Orchid” onto my nails. It was very pretty and I was very busy so it just stayed that way. On the other hand, a good number of my things are super organized now and I’ve got a whole bunch of things to donate. This is going to be a good year and I’m going to use it to focus on being creative, building my skill sets, and finding new challenges for myself (without over-committing). Most of this focus is going to be on nail art and steampunk sewing/accessory making. 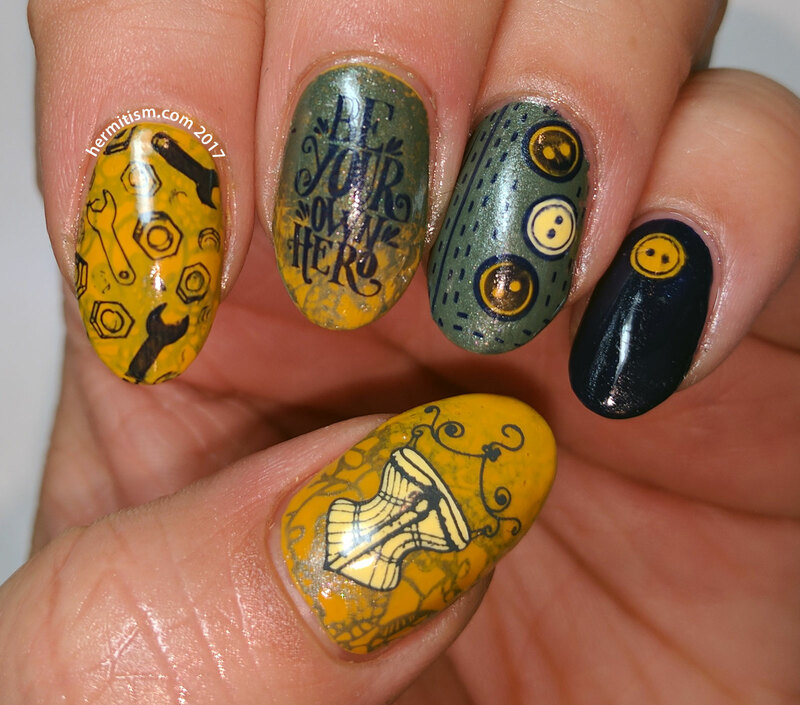 Hopefully that last bit explains the theme of the things I stuck on my nails. One of my personal nail art challenges is to try to use each of the color combinations in this article in my nail art this winter. I didn’t quite do it this time since I used grey instead of black, but I think I’m going to count it since the combinations are already heavy on blues and yellows. 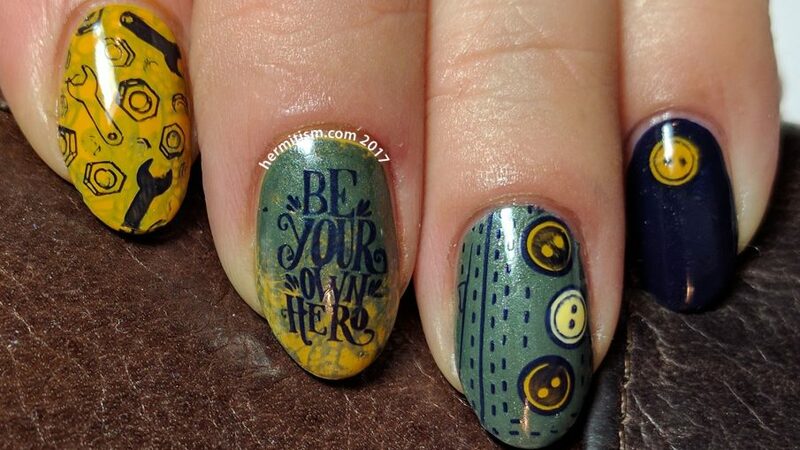 I’ve also discovered that my mustard yellow (Butter London’s “East End”), while still difficult to work with, is excellent for layering. I used it to mute my gray stamping on my pointer finger.